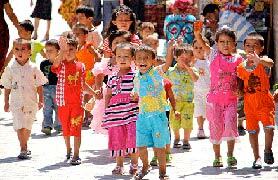 Uzbekistan, the country with the highest population in Central Asia, has given a high priority to child rights since its independence. Their recognition of child rights has been improving, though not entirely satisfying from a global perspective. Significant problems, such as child labour, still exist and require immediate preventative measures. 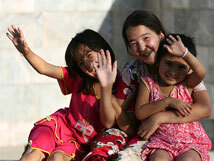 In Uzbekistan, more than a quarter of the population live under the povertyline. Urban residents are mostly impacted by this poverty, causing a massive exodus to the countryside. In certain urban districts, poverty affects nearly one in every two individuals. As a result, the living conditions of children are deplorable and in such an environment their rights cannot be fully respected. The infant mortality rate is recorded to be 36 % and it is evident that the rate is indeed high. Furthermore, pre and post natal care are not sufficiently provided to those who are in need. Young mothers get very little support and do not receive adequate knowledge to tend to the health needs of their babies. However, the recent vaccination campaign against polio is one good example which indicates that Uzbekistan is making efforts to prevent certain diseases. The geographical location of Uzbekistan is such that many foreigners, especially inhabitants of Kyrgyzstan, who are looking for a safer place, tend to make Uzbekistan their refuge. Most of these refugees are women and children who arrive in the host country in a state of total poverty; sometimes even without luggage. Although today many of them have been able to return to their homelands, some families continue to stay in refugee camps and live their lives totally dependent on humanitarian aid. Despite the important presence of many NGOs, these camps do not offer ideal living conditions for children. There is very little shade and the atmosphere is extremely hot. Thus, many newborn babies fall victim to the scorching heat, the main cause of fever, dehydration and diarrhoea. They are given drinking water, but unfortunately, it is distributed in limited quantities and only used for drinking. They use tap water to fulfill their other needs which causes serious health and hygiene problems.. In these camps, humanitarian aid alone cannot meet all the needs of refugee families. As a result their hygiene, health and safety cannot be duly assured. Uzbekistan has ratified the conventions on the prohibition of child labour, yet the practice is far from being abolished. In fact, this practice is completely rooted in the traditions in Uzbekistan, to the extent that child labour is integrated into the school system. During the harvest season, the government gets the school children to work in cotton fields. If they refuse, they risk being expelled from school. 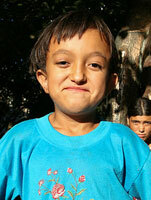 Uzbek children work under unsatisfactory conditions and experience hunger, fatigue and filthy environments. These children are either paid a meagre sum of money or not paid at all. As a result, their education is interrupted in the interest of the cotton trade and their health deteriorates following the appalling conditions under which they work. Uzbekistan should take necessary steps against this major problem which deprives their children of a considerable part of their youth. Corruption is a reality which is very much day-to-day in Uzbekistan. Harassment, torture, intimidation and imprisonment await those who speak too much. As a result the real situation of children in Uzbekistan cannot be identified and due to this fact improving their lives has become an even more difficult task. Although the Uzbek law claims to assure the freedom of expression, in practice it is limited. The media is highly controlled, government opponents or human rights activists are often threatened, and the Government is known for its strict censorship policy. These restrictions deprive the children of their right to information and their right to free expression; this is indeed a complete violation of Art.13 of the Convention on the Rights of the Child. The Uzbek government constantly monitors certain religious communities and limits their freedom of religion to all Uzbeks. Thus, simply being a member of a religious community which is not officially recognized could lead to serious consequences. Some are imprisoned because they belong to these communities and the government does not hesitate to label these individuals as extremists; thus justifying their condemnation. Children can also be identified as victims of this religious intolerance. They could be victims of racism or victims of degrading treatment, but what is evident is that the right of the child to choose his religion or his right to comment on his choice is largely obsolete. Every child has the right to be protected in both the family and in the national framework. Yet, this right is not fully assured in Uzbekistan. Unfortunately, children fall victim to attacks, as many civilians do. The response of the Uzbek authorities to these acts of terrorism is contrary to the protection of the child. In fact, due to various “anti-terrorist operations,” many Uzbeks are unlawfully arrested and imprisoned. 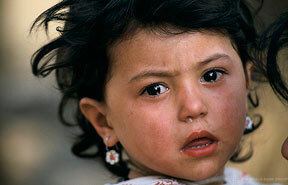 The response of the Uzbek authorities to these acts of terrorism is contrary to the protection of the child. In fact, due to various “anti-terrorist operations,” many Uzbeks are unlawfully arrested and imprisoned. Even some adolescents undergo this fate because they are “suspected” of helping the opposing organizations, or simply because they have been abroad or their parents have been in such situations. Their detention is illegal and the situations that they go through are indeed appalling; no trials, no legal safeguards. To make matters worse, cases of torture and harassment have also been revealed on several occasions. It is estimated that 7% of the women are married before the age of 18. These marriages are often arranged by families and in such a marriage the financial situation of the groom’s family matters more than the girl’s welfare and her willingness to get married. Child marriages are a violation of child rights and in particular a violation of the rights of girls who neither get the opportunity to enjoy their childhood nor have the maturity or sufficient understanding to accept and understand such a commitment.